Ever wonder what library rules were like in 1799, soon after the founding of the University of North Carolina library? In this gem of an entry from the General Faculty and Faculty Council Records, the Board of Trustees write the rules for the library. Notice that some things never change: reference books remain in the library for the most part, call slips go out with books, and fees are paid for “defaced” books. The building they are writing about in the 1799 rules is still standing, though it is no longer a library. The Philanthropic Society Library was housed in Old West, and was one of only a few university buildings. 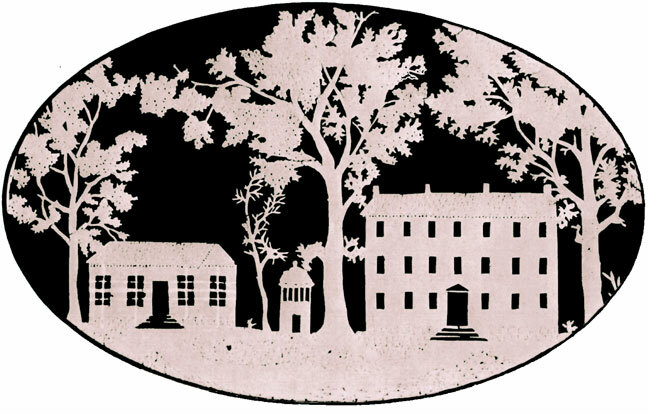 There is evidence, though, that aside from the well-stocked “society” libraries, the University Library remained in a 9 feet by 12 feet room in the President’s House until 1814! The library was only open 2-3 hours per day as late as 1885, which put a damper on students camping out during finals. Librarians, of course, were not SILS educated, but instead members of the Philanthropic Society who volunteered their time as university librarian to watch over the collection, which numbered a few hundred books. All students paid a fee of $1-2 per semester until the early 1800s, when the university allocated $250 per year to the library. The library endowment is now well into the millions, and student fees (though most of the fees are not for the library) are thousands of dollars. Do you want to learn more about the history of the University library buildings? This is just a preview for the University Buildings exhibits, coming this spring to a library near you! The exhibit on the library buildings will be up in Davis Library March 1-May 31. See the full list of library rules after the jump! There shall be a room appropriated to the library, apparatus and curiosities of the University. Shelves shall be put up in it, at the expence of the board. Fire shall be made and kept up in the room once every week for two hours, by order of the librarian, and then be entirely extinguished. And no person but a trustee or member of the faculty shall be admitted into the room of the library, without the presence of the librarian: but either of these shall be admitted whenever they require it. The librarian shall be appointed by the faculty every half year, who shall make a report to them as often on the state of the library. He shall also account to the treasurer of the board for the monies he has received as librarian. Every student on the establishment of the university, may use the books of the library on paying fifty cents into the hands of the librarian for the session in advance. The encyclopedia shall not be taken out of the library by any student not belonging to the senior or junior classes; and no other shall ever consult them, except in the presence of some member of the faculty. The librarian when he delivers a book out of the library to a student shall write a receipt for the book which shall be signed by the student who takes it out. A volume shall not be kept out of the library more than three weeks, without being returned to the librarian and the receipt of it renewed. And if any other person shall want the volume at the end of that time the person who has before had it, shall not be at liberty to take it out again at that time. If a student who shall take a volume from the library, shall by any means, deface or abuse it, he shall pay according to the damage done, as estimated by the faculty even to the replacing of the set; and if he shall lose it he shall pay the librarian for it, the price at which the faculty shall value the set, or else he shall replace the whole as before. If he shall not return it in three weeks after taking it out of the library, he may be deemed to have lost it, and the faculty may proceed accordingly. If the student shall refuse to comply with the decisions of the faculty, he shall be admonished, suspended or expelled as the nature of the case may require. The librarian shall keep a book in which he shall have a catalogue of all the books of the library. And if any book shall be presented to the university, the name and place of residence of the donor shall be recorded. The librarian shall appoint a day and hour for giving books out of the library, and he shall attend once a week at the time appointed for that purpose. If books be hired from the library, the price to be paid shall be fixed by the faculty, and the person who obtains the book shall pay in advance. 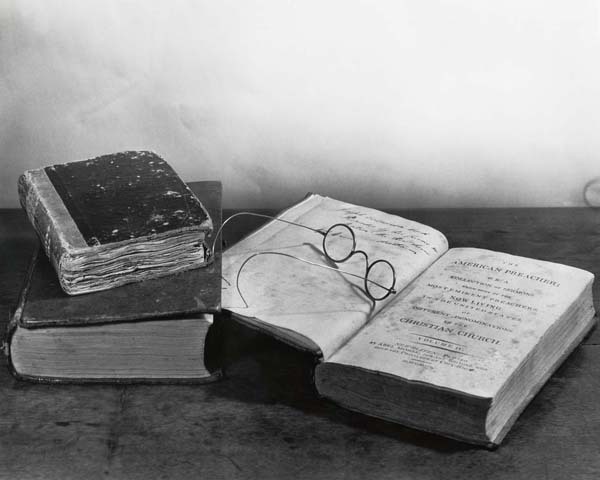 These are the items of Joseph Caldwell, who was a professor and the president of the University in 1799. I'm a graduate student at the School of Information and Library Science and a first-year Carolina Academic Library Associate. I like playing ukulele, American history, tap dancing, and riding bicycles. I sing in Carrboro's klezmer band, Gmish. This entry was posted in University Archives, University History and tagged Dialectic Society, events, library, library history, Old West, Philanthropic Society, preserving history, UNC, University Archives, University History. Bookmark the permalink.